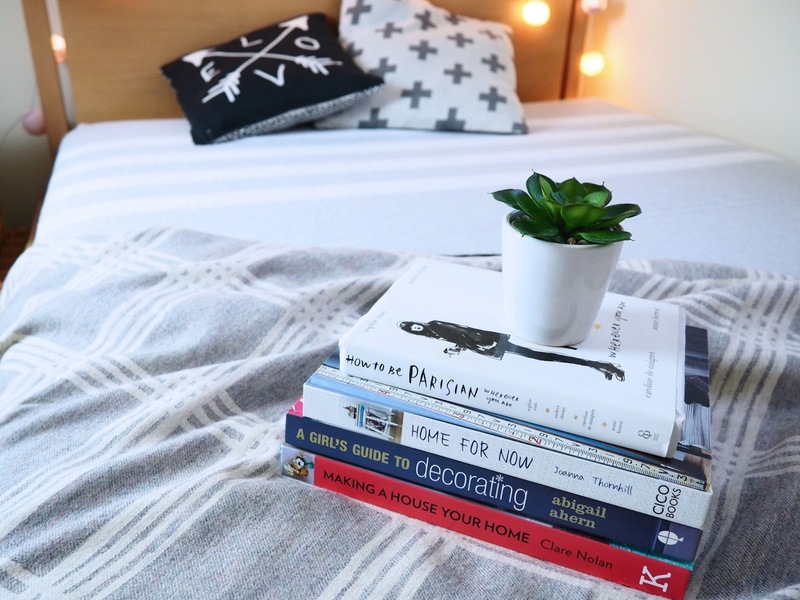 You probably know by now, how I admire good mattress and bedding, you can read here my 5 bedding hacks. A good mattress is a key! Here, I wanted to introduce you to the new kind of sleeping! Sleeping with Leesa Mattress! 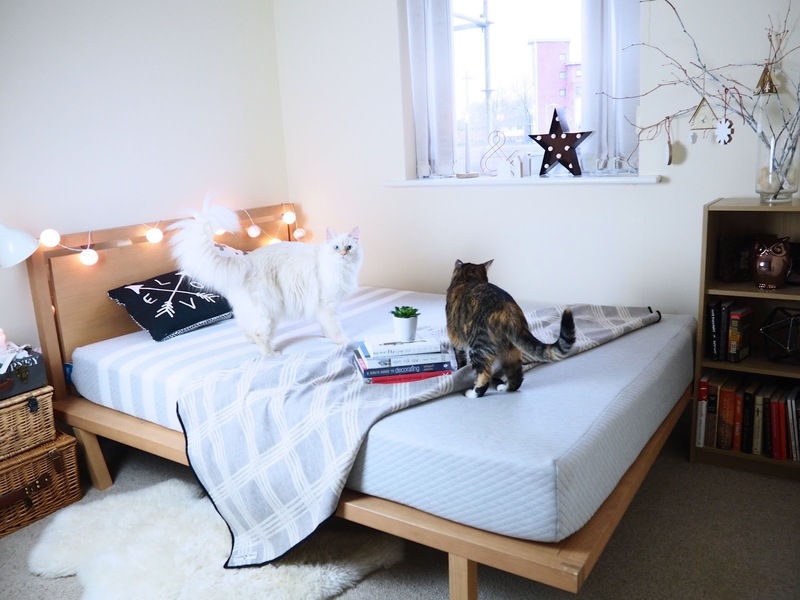 I have specially written a Lessa mattress review to help you understand how important mattress is, and why should you buy Leesa! What caught my eye first at Leesa Mattress was not the fact of impressive 5cm contouring foam layer, but the stunning design of the mattress! Yes, I am the person who will look into the aesthetics first before functionality, I know my bad! Here are the beauty and the brain! 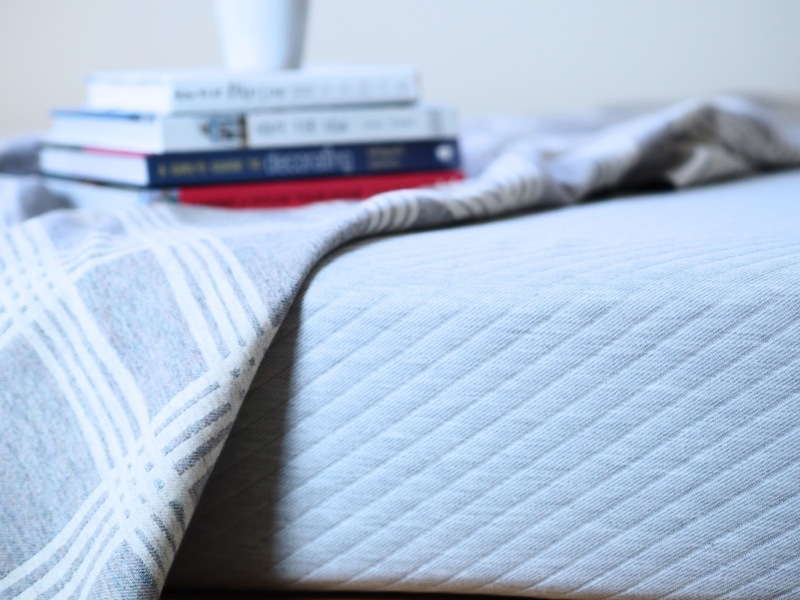 Leesa is not only a great designed mattress but also under the pretty cover you will find avena foam that will help your body perfectly adjust for the best comfortable sleep ever! 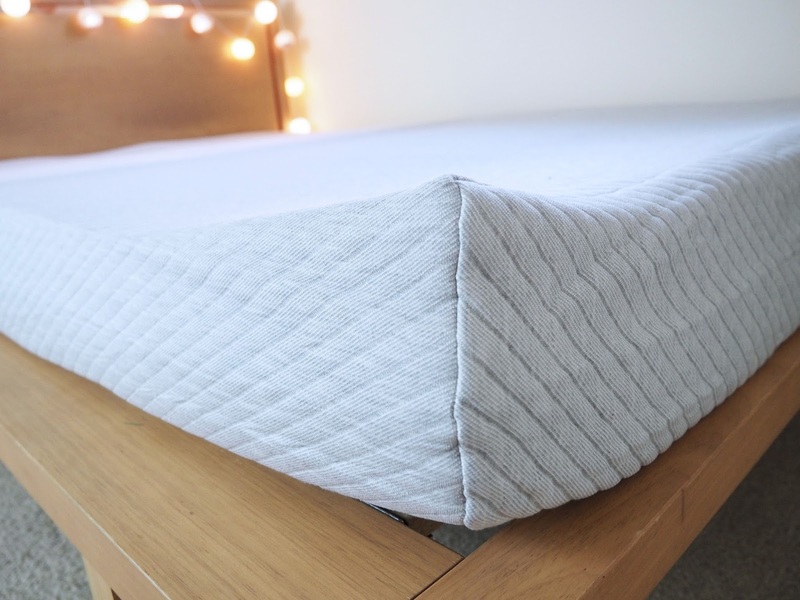 The impressive 3 layers (12 cm core support, 5cm contouring foam, 5cm cooling foam) has been carefully designed to provide you with best quality sleep you can imagine. 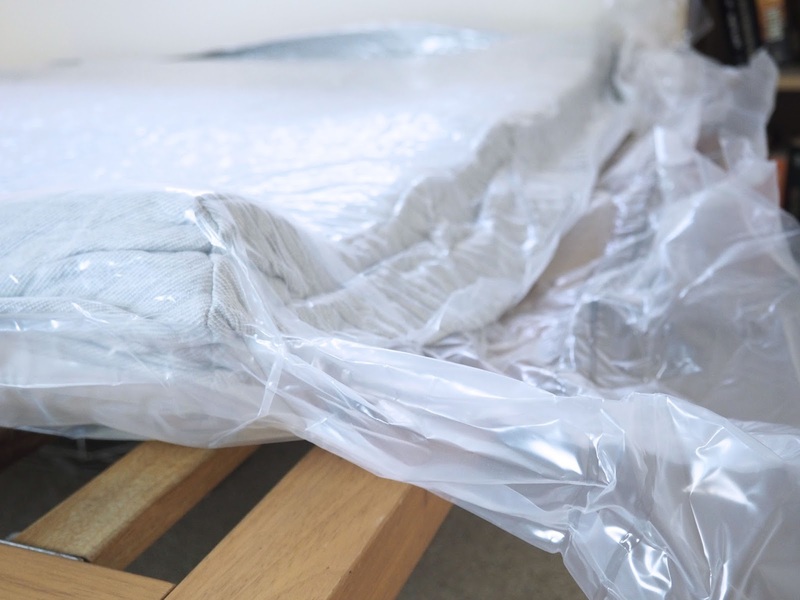 One factor that makes most of the mattresses fail massively, is the fact that you wake up sweating too much as the mattress been poorly designed with bad quality fabrics and foams. I love my mattress to be super soft but in right level so I won’t sink there completely and have the right body support. This is what Leesa mattress is like. Also, the benefit of latex-free is that if you an allergic like me you don’t need to worry! I decided to put my mattress in my spare bedroom. This room always felt unloved and it was a typical damping place. When my friends were staying over, they always complained that they didn’t sleep well, I know pretty much embarrassing confession but I don’t blame them. I had dated, used by previous tenants mattress there, with every single sprung you could feel. I always had to put extra layers of blankets and spare duvet there for extra comfort. It was really embarrassing to me. The room itself wasn’t very inviting either. Pretty plain, with towel dryer, a wardrobe and just about that. Now, little more about my experience with buying Leesa! What I totally love about it, is 3 things! Firstly, that it only took me 1-minute to order Leesa! Secondly, that it comes in literally few days not waiting for the delivery months as like happening when you order in store. Leesa was delivered straight to my door. No need to hire a van, beg friends (kept that wine to myself!) Third, I love that I avoided all the cheap sales techniques from shop assistants, that will try to sell me all products on better commission having my comfort completely somewhere problems with generic topamax else! 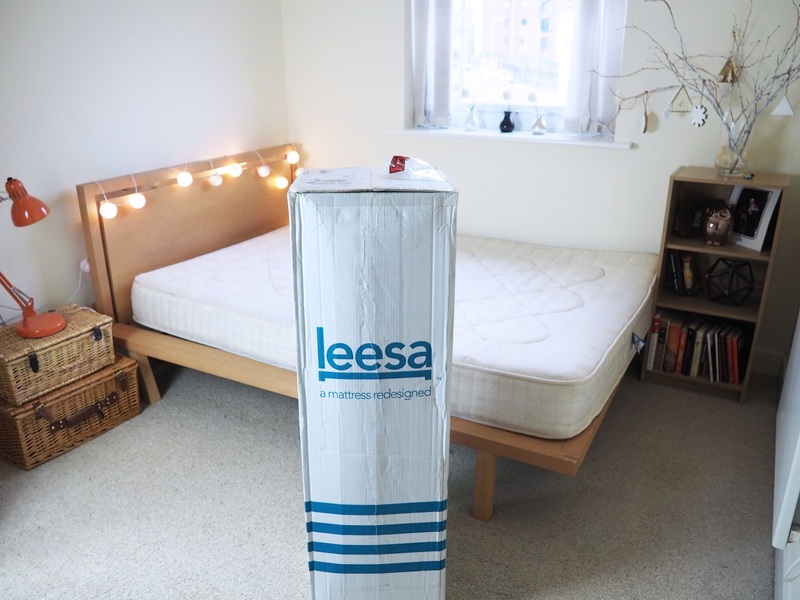 Leesa gives you a 100-night risk-free trial, so if you are not happy, you can ask for the mattress to be collected for donation and your money refunded in full. It was the real wow factor to open Leesa! 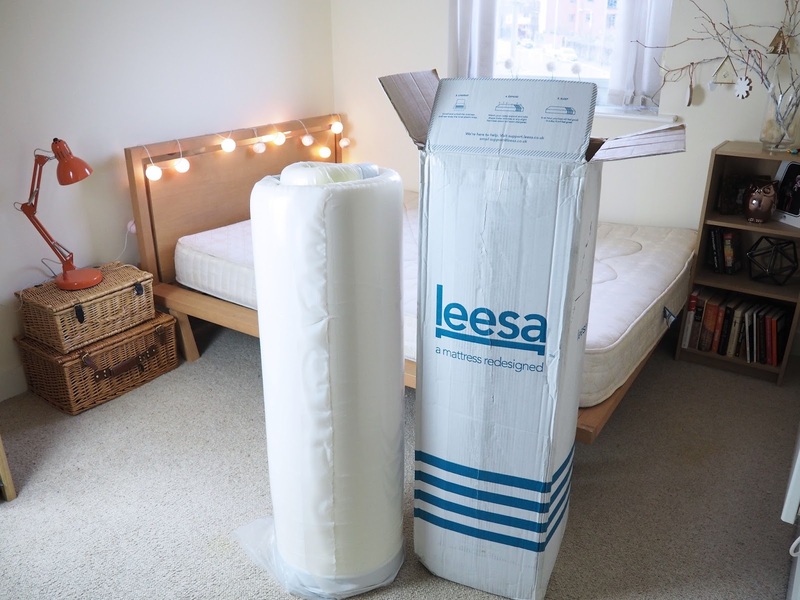 Once the compressed plastic been cut, Leesa spread its own beauty, and just within few minutes from a small roll I had pretty impressive mattress lying on my bed! I was impressed to see the mattress looking great just within 1h! You wouldn’t expect that after mattress being comprised in a tiny box! I secretly thought it would take longer, but no! Only 1h! 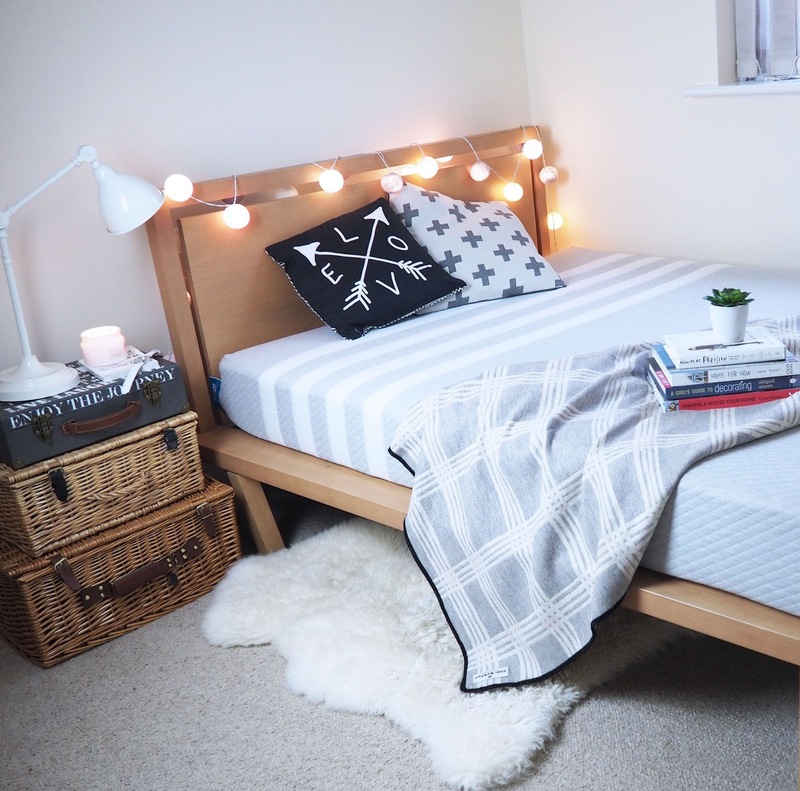 I styled my spare bedroom and loved it! The room completely changed! Leesa changed it! I gave it a go Leesa that night, despite my boyfriend not being happy about it;) to just found him cuddling to me 30min later, asking if we can now ‘’move’’ to spare bedroom. The cats adopted Leesa too! When I start taking the picture they wouldn’t move, so I stopped fighting and let them explore it as well! After my first night, I woke up so relaxed! Then after sleeping few nights, I can honestly say it’s ideal for my needs. My body felt perfectly supported, with the exact firmness. I always sleep on my right side, so I often wake up with an sort of pain, but nothing like that was happening after sleeping on this mattress. My friend who previously ‘’rudely’’ complaint to me, after staying over, this time, I heard only positives and they asked me for details of this mattress! They loved it too! 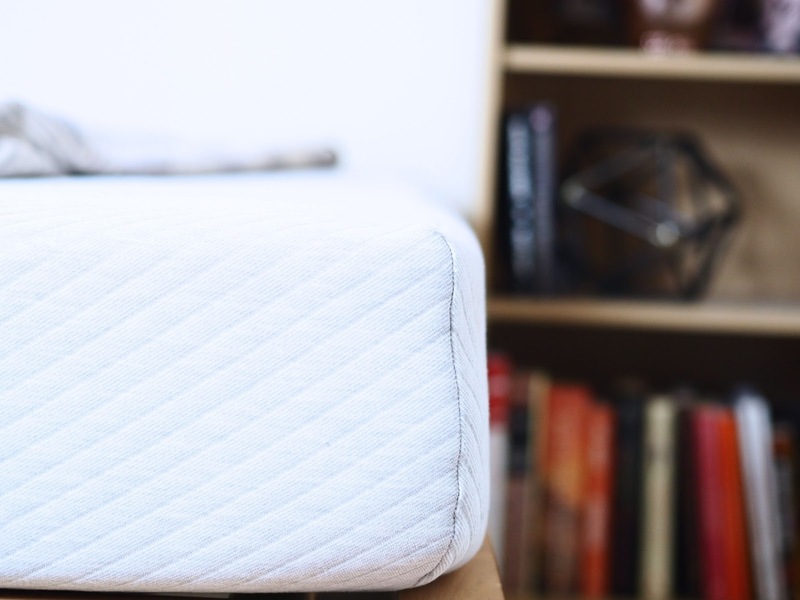 Leesa mattress was created with one simple task, to help people sleep better. I think this has been achieved in 100%! I love the company ethos and their approach to customers. The main goal is the customer’s comfort and this is what you are getting plus a little fun when unpacking! I just love all the new technologies and ideas! I am a tiny little girl without a van, so having a box delivered to my home that I can easily get to the bedroom and unpack it’s a genius idea! This was what hold me back of buying the mattress in a traditional way, as with my busy lifestyle I just simply don’t have time lately to traditional shopping. Leesa Mattress company is also very generous! 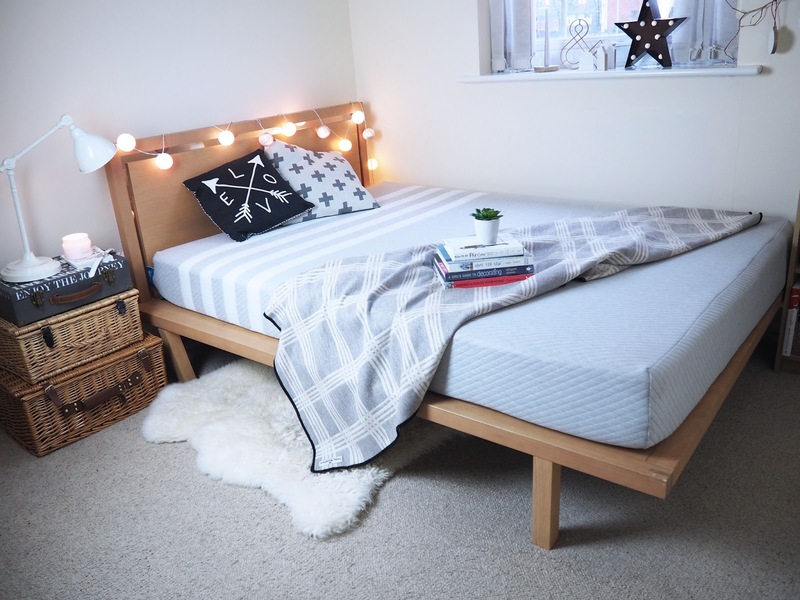 They created One–Ten programme that donates one mattress for every ten sold. 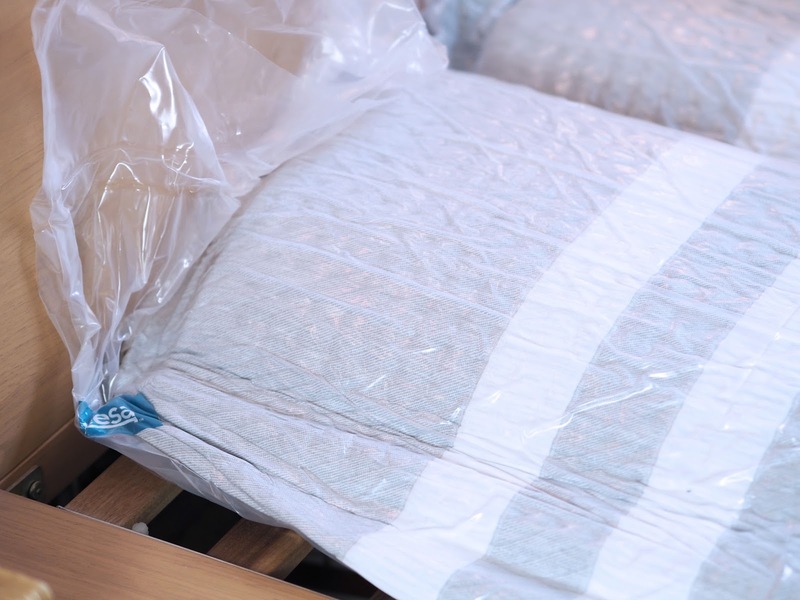 Their recent event at the Bowery Mission in New York donated 300 Leesa mattresses along with One Earth programme, which plants a tree for every mattress sold, to help offset our carbon footprint. 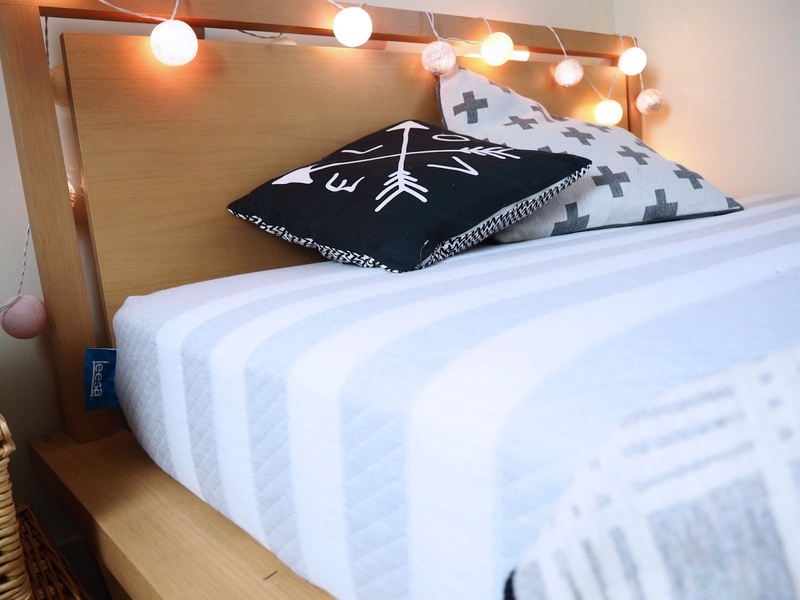 This beautifully designed mattress helped me to create in my bedroom cosy and stylish look. I have added few accessories, to finish this up. it’s not just the look but the most ever comfortable sleep you are getting with Leesa. 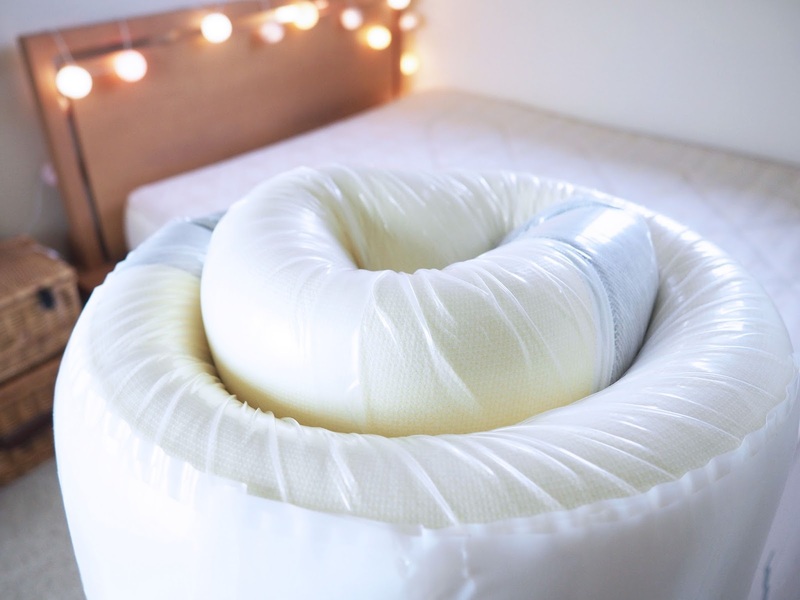 If you enjoyed my review and you are interested in buying this mattress I have a little gift for you! If you buy via my page you will get £50 discount! Buy Leesa Mattress! 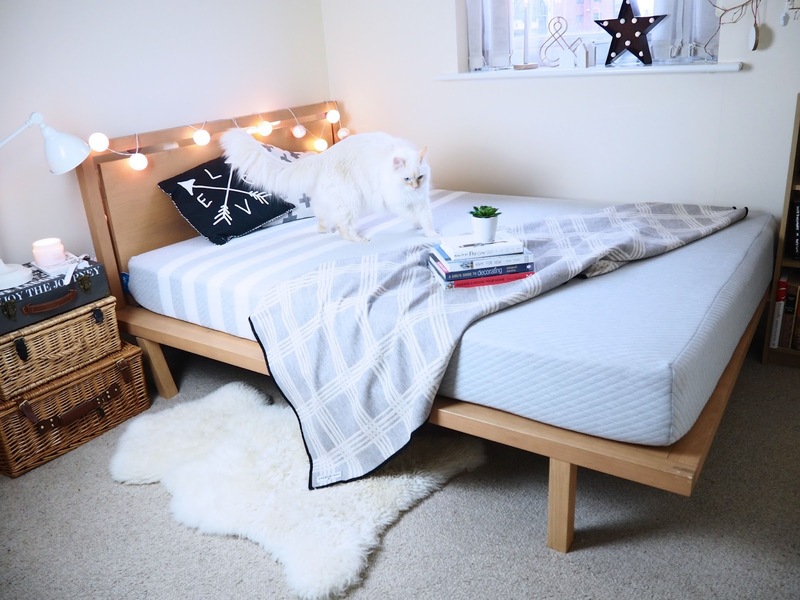 *I was send the mattress to review and the opinion is absolutely and only my own. What a glorious room – seems almost too good to be a spare room! Love the lights over the bed. I'm glad it was as comfortable as that! It's so interesting how it expands. You styled the room in a lovely way too. We are just about to give our spare room a makeover, so this has given me some inspiration. A good mattress is SO important. 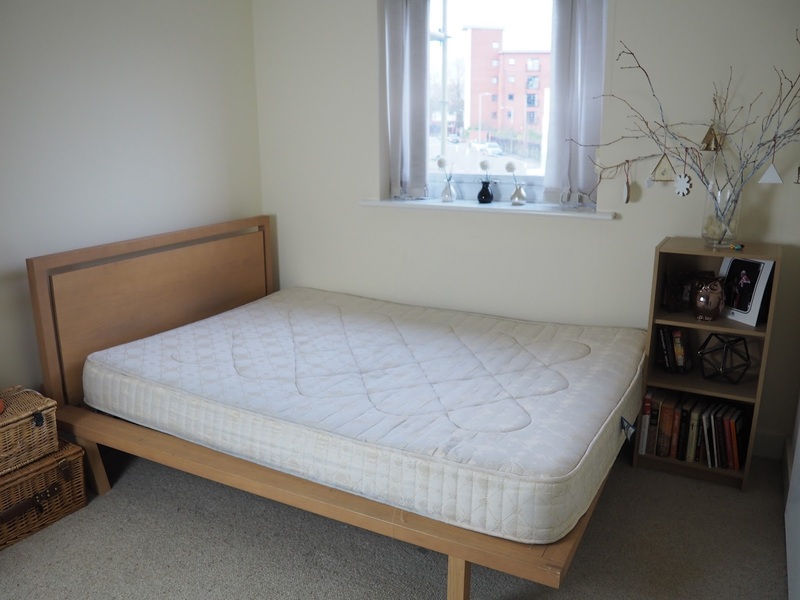 That sounds like one seriously comfortable mattress, and how awesome to have a spare bedroom! We could use an extra bedroom, we're overcrowded with my two youngest sharing a room. I didnt realise a matress could make you sweat at night, I always thought it was the dovet. 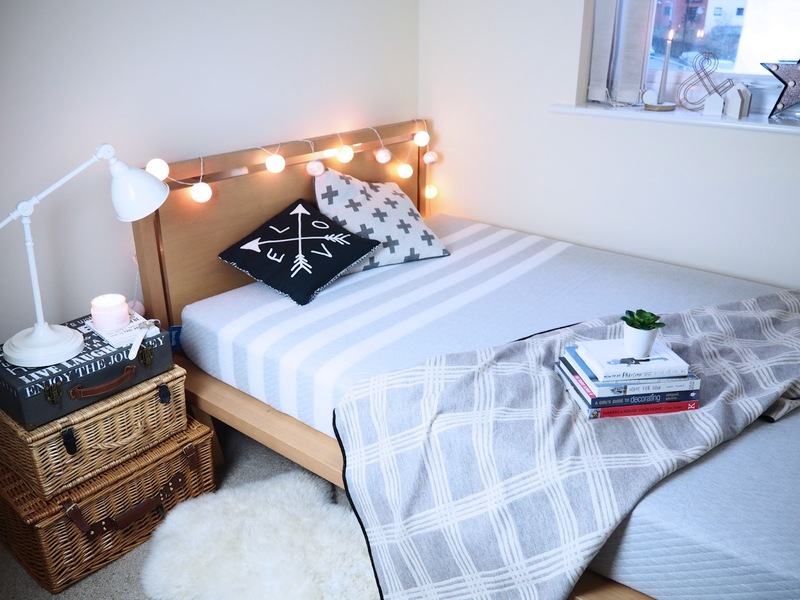 I Love the style of your room! I love what you have done with the room its so nice and light . 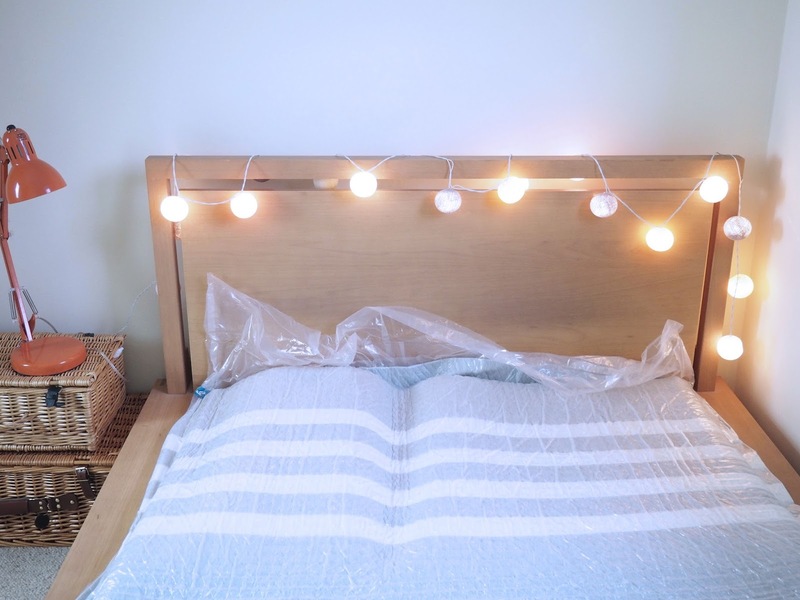 Your bedroom looks lovely and this mattress sounds really good. I desperately need a new mattress. That looks lovely! Very vibrant looking, I love it. The room looks so much better now I love how inviting, warm and friendly it looks! I love the pillows and the light fixture especially. Where have you been recently? I hope you are well. A 100-night risk free trial is such a good idea! 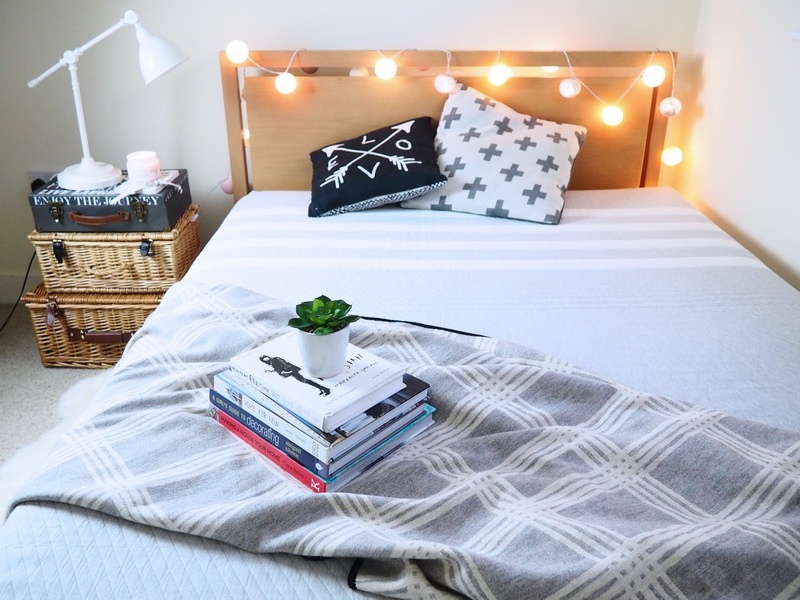 You're so right about the importance of a good mattress. I haven't slept properly in nearly a year because the mattress isn't compatible with my sleeping habits. I love my sleep so investing in a good mattress if a must for me!